Things are busy at my shop, Wild Heart Studio, in Prague. Right now, I'm working on both Halloween classes, and unique hand painted items for the shop! 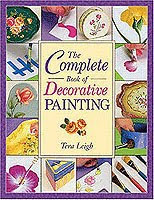 These are a few of my original designs for upcoming classes! 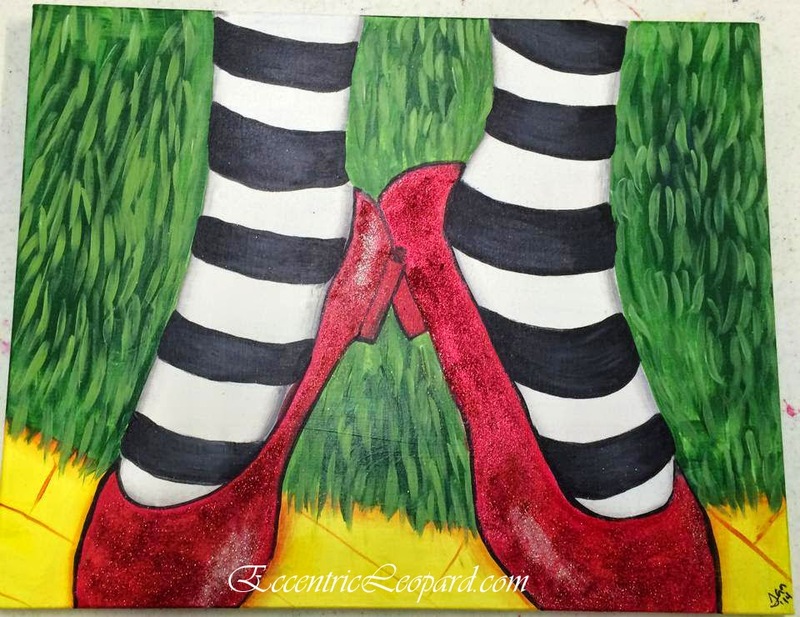 I love these simple witches shoes. We added silk bows which are tied through the canvas for this one! 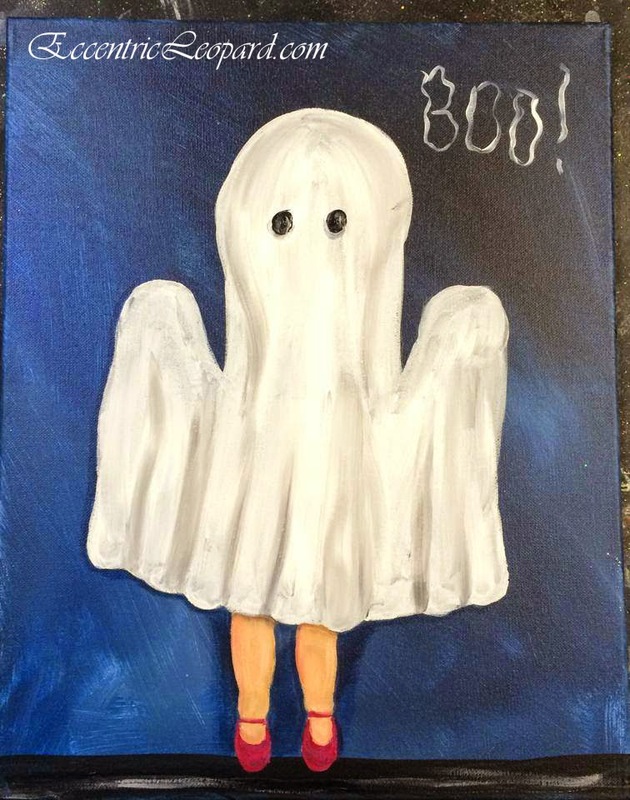 This "Boo", or "Boo Y'all" as we've been calling it, is one of my favorite canvases I've ever done. 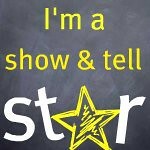 It is simple, but I love the childlike fun of it! 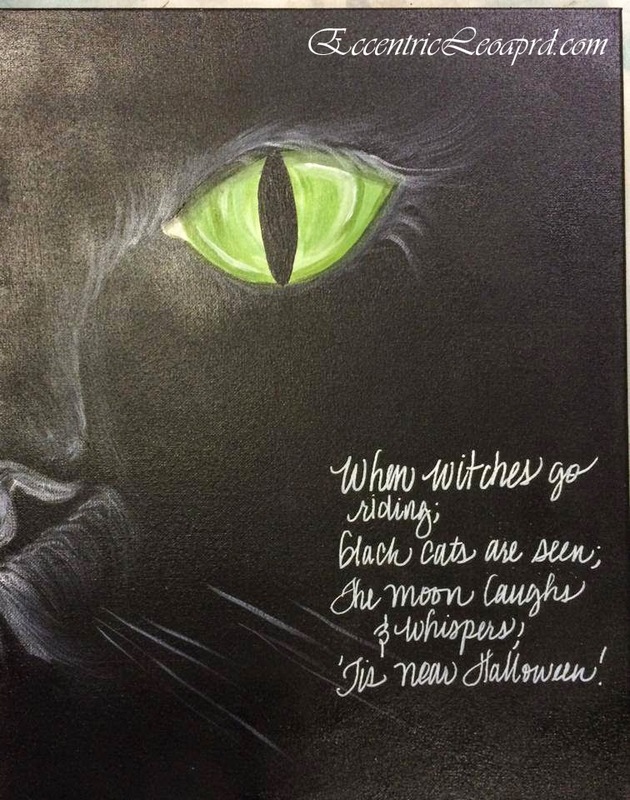 The black cat is a wonderful symbol for Halloween - and among my personal favorites when it comes to cats! 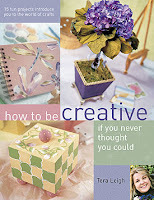 This design is really easy, and I can't wait to teach it! 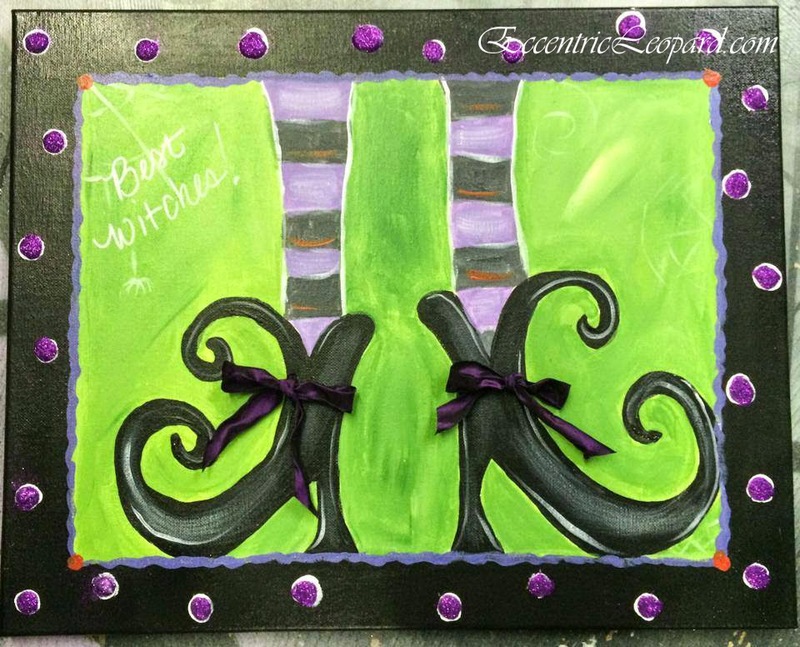 This design with the witches dress is a little more complex, but quite easy to paint! Of course, the glitter on the dress takes it to the next level! This painting is called "Ding Dong" and everyone who sees it wants to paint it! 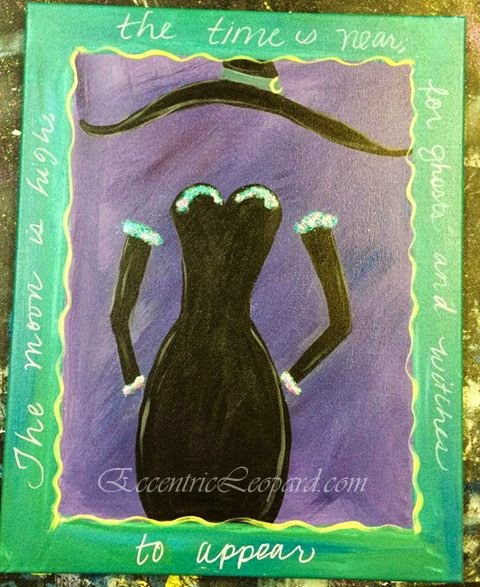 In the shop, I've been adding some custom painted decor that will be for sale in our boutique. 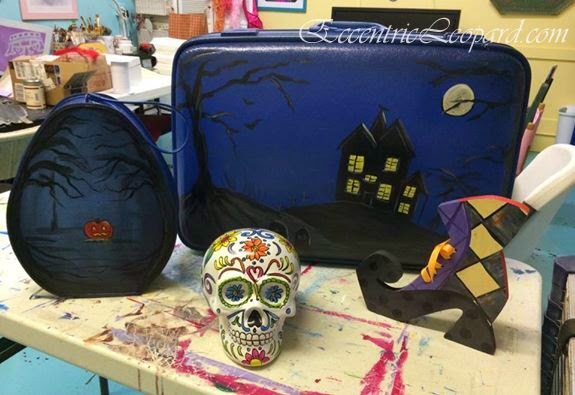 I love seeing a suitcase sitting in a foyer - and these fun Halloween designs are great! Wouldn't they be fun on the porch on Halloween for the trick or treat-ers? We've been making lots of pumpkin signs . 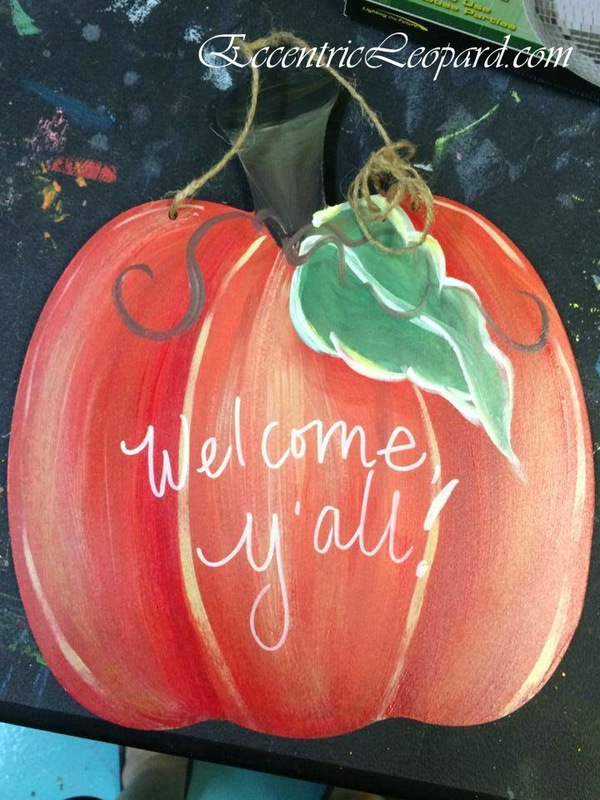 . . photos of our burlap door hangers are coming soon! 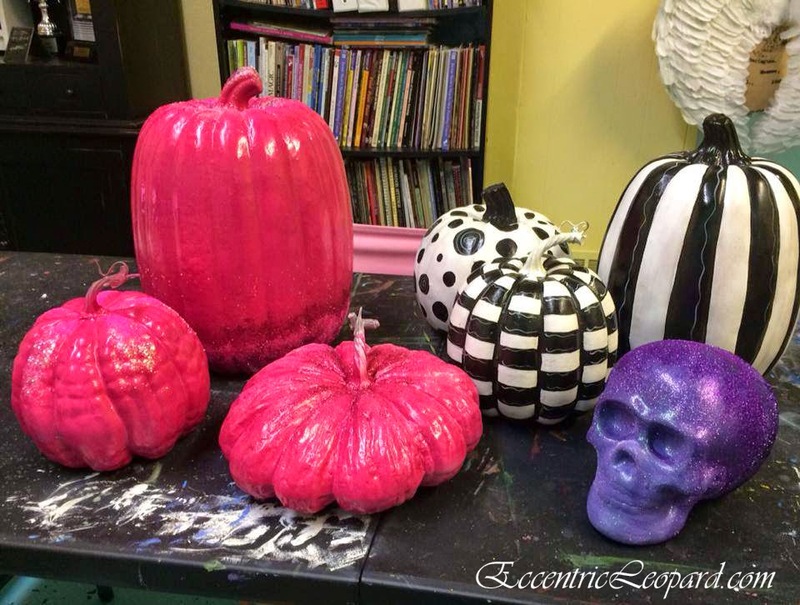 ... and then we have painted pumpkins - which are a great investment because they can be used year after year!